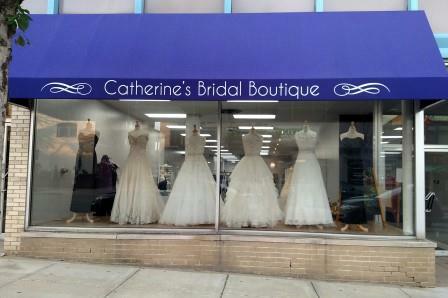 Feel free to call us at (219) 462-7433 to make an appointment to shop with us, or you can request an appointment here! Style Octavia ~ Romantic, allover lace, illusion back. Style #8117 ~ Marciana ~ Crystal beaded Alençon Lace appliqués on soft tulle. Style #8117 ~ Marciana ~ Beaded waistline. Cutout illusion waist panels. Keyhole back. Style #8107 ~ Maeve ~ Fit and flare. Crystal beaded embroidery on tulle. Illusion strap. Style #8107 ~ Maeve ~ Dramatic open back accented with illusion beaded straps. Style #8106 ~ Maelani ~ Diamante beaded bodice on a silky chiffon skirt. Style #8106 ~ Maelani ~ Diamante beaded organza belt and illusion straps. Style #5507 ~ Marlowe ~ Organza ball gown with beaded straps. Style #5507 ~ Marlowe ~ Diamante beaded accents on straps and keyhole back. Style Helena ~ Beaded lace sheeth, v-neck, low scoop back. Style Olivia ~ Lace bodice and illusion bateau neckline. Tulle ball gown. Style Olivia ~ Illusion lace back, cascading keyholes. Crystal embellished belt. Style Mariah ~ Scoop neckline, floral lace appliqués, dotted tulle. A-line silhouette. Allison ~ Gorgeous ball gown with layers of lace and tulle. Beaded belt and straps. Allison ~ V-neckline, open back with illusion trim and beaded straps. Brenda ~ Layers of tulle and floral lace, sweetheart neckline, fit and flare. Brenda ~ Corset closure. Detachable lace capped sleeves. Scalloped hemline. Darlene ~ Tulle and Organza ball gown. Lace bodice with sweetheart neckline. 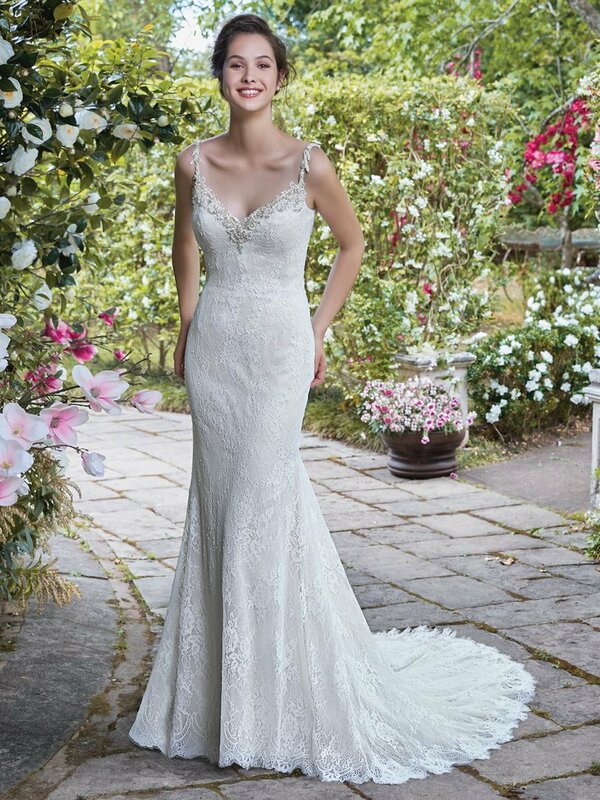 Drew ~ Beaded lace, fit and flare, V-neckline and V-back with illusion trim. Piper ~ Simple, sheath silhouette, lace, classic V-neck with illusion straps. Piper ~ Illusion back accented with lace. Zipper closure. Chapel train.